Feeding our nearly-grown kids and teenagers can be a big challenge, even for us parents who love to cook. In our experience they are always hungry and always on the go. Between school, sports and extra curricular activities the pressure to have nourishing and delicious food at the ready is constant. And if you’re hoping to feed them real food, not just packaged snacks and fast food, it can get extra tricky. We’re all for recipes like this that offer the stick-to-your-ribs quality but also a heavy dose of vegetables. 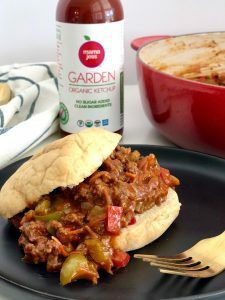 These sloppy joes (we called them spoon burgers growing up, anyone else??) are a new take on a classic recipe using only real food ingredients and lots of veggies. This recipe comes together really quickly; especially if you’re using pre-chopped veggies. While lots of convenience foods come with unwanted ingredients, we are LOVING what is happening in the produce section lately. You can buy all of the veggies needed for this recipe already washed and diced or shredded for you. 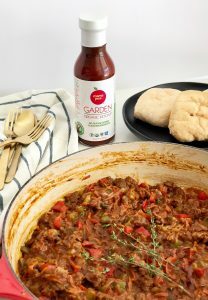 While the vegetables and meat cook the sauce with Mama Jess Organic Ketchup and spices like smoked paprika, thyme and cloves is mixed together and the whole dish needs only a few minutes of simmering before it’s done and ready for your hungry crew. We’ve learned first hand that this dinner holds quite well if not everyone is eating at the same time. 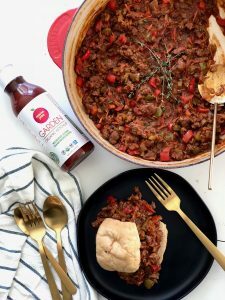 Serve each sloppy joe however you like; on a bun with sliced tomato and cheese (like we had growing up) or even stuffed in a baked sweet potato or atop sauted greens for extra veggies. No matter how you serve it we know this recipe will instantly become a family favorite. And stay tuned for more recipes and inspiration to help you keep your growing teenagers fed and nourished! In a large pan over medium heat, brown and crumble the beef. While the beef is browning, chop all the vegetables. 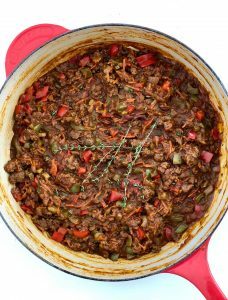 Add the onion, bell peppers, carrots and celery to the beef and saute for 8 minutes or until the vegetables have all softened. While the vegetables are cooking, prepare the sauce. Mix together all the remaining ingredients in a medium sized bowl and whisk until combined. Add the sauce to the beef mixture and stir well. Let cook, uncovered for 5 minutes or until vegetables are completely softened and the sauce has thickened slightly. Season to taste with salt, if needed. Serve on hamburger buns, over a baked potato or over a bed a of sauted greens. If you make this dish, let us know! 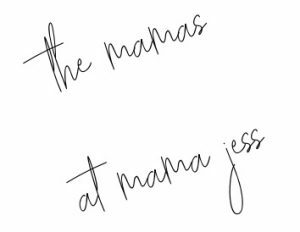 We’re on Facebook and on Instagram @mamajessfounder.